I’m late to the Atac party. For months I’ve been hearing that I should go to Atac. And for months it’s been hot and gross and I haven’t had the energy to get out and explore a new option in my routine. Boy was that the wrong choice. I hopped in a taxi this morning and we took off for Point E, one of several Atac locations in Dakar including the very newly opened one in Virage. I had been there a whole three minutes and was still on aisle 1 when I realized my mistake. Nice quality, good selection, much cheaper. For pantry items such as crackers, juices, canned goods, cleaning products… so much cheaper than Casino or even CityDia. Like half the price on a fair number of my regular items. Plus I found myself buying things I normally wouldn’t (little breakfast ‘cookies’ for snacks, no-junk-added juice boxes, whipped cream for my coffee…) because they were actually a decent price. 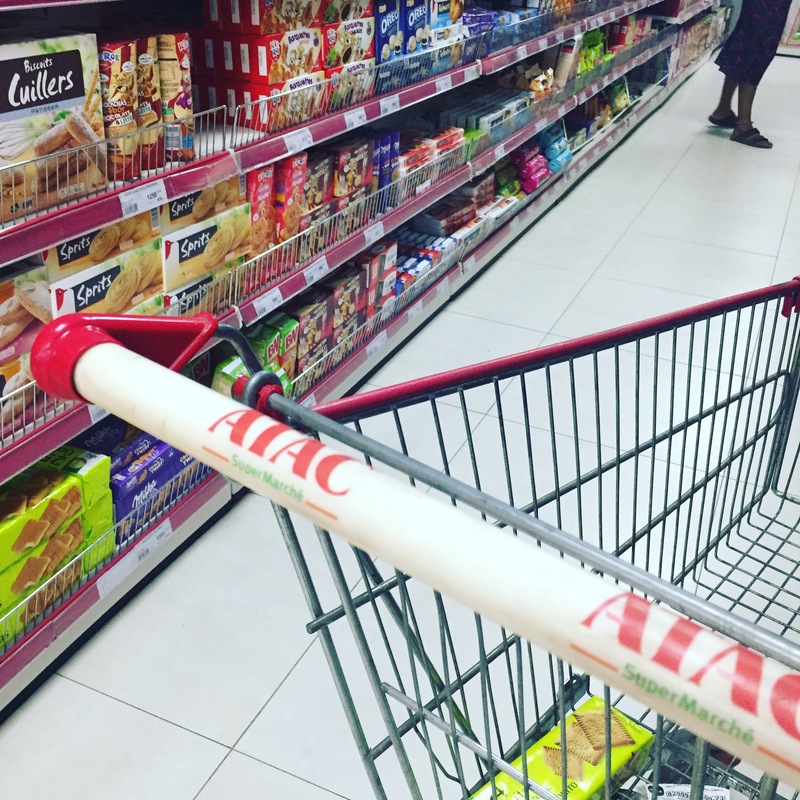 ATAC Supermarchés are currently located in Point E, Castors, Virage, Plateau. Previous Trio Toque pop-up restaurant is back! Hey! Do you know if a “health” type store Anywhere in Dkr carries black rice? Atac carries two of my favorite things: rhubarb jam and Crousty brand berry granola for a very reasonable price. They also had fresh spinach earlier in the season.